Have you ever received a sari, lehnga or suit from an aunty or your mother-in-law that you didn’t quite know how to react to? Or maybe you have a big family wedding coming up and don’t have the time to go to India or Pakistan to find your wedding essentials? 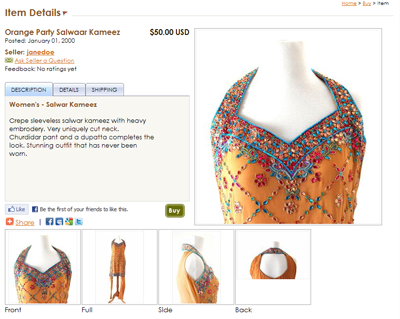 Meet StylishDesi.com, a one-stop marketplace to buy and sell South Asian traditional clothing online. 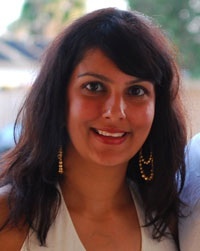 StylishDesi.com was launched in October 2010 by California-based mom and entrepreneur, Angela Jain and her husband. The site is online Indian fashion and accessory website that allows boutiques and individuals to sell items such as saris, salwars, suits, menswear, children’s wear and accessories. 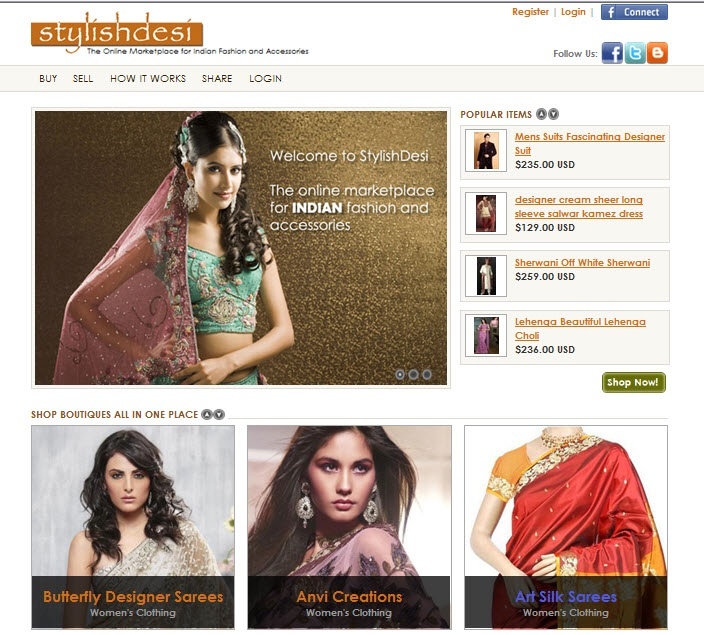 How did StylishDesi.com get started? When we were shopping for our wedding we didn’t have time to go to India to shop for our wedding clothes so I was looking online at all these websites for lehngas and saris. For South Asian weddings, that’s usually the biggest part of it, what you’re going to wear. My husband watched me as we navigated to many different websites looking for the same thing We were thinking wouldn’t it be great if we could just go to one place and see all of them online. StylishDesi.com came out of a need to bring all of the Little Indian boutiques we see in India, UK, Canada and the US, to one place online. Instead of going to all of the websites and checking out their inventory, why not see everything in one place. We like to think of it as an Etsy but a South Asian version. How many boutiques are on board with you? Have 30+ boutiques online right very week we add a few more. We’re actively looking to add more. What are the price points of most items and how do consumers use the site? We offer prices for everyone $10 to a couple of hundred dollars. The boutique delivers itself. When you buy something off the site, you’re buying directly from the boutique and they deliver it directly, you pay them directly. You register and post your item to sell it. To buy you just login, search for your item, buy it and review it. It’s that simple! We also have a rating system on our site for customers to give feedback on such as delivery, product and the experience of shopping from the boutique. Returns are done on a boutique by boutique basis. Buyers can ask sellers questions quickly on our site as well. What are some of the big names you have on board? We have some big names like Cbazaar, Kaneesha and we have some of the smaller awesome boutiques, Anvi Creations and Sparkling Sarees. Where are your boutiques from? What benefit is there for boutiques to join your site? images can be added to posts which can be edited or removed up until they are sold. Unsold posts expire after 90 days and may then be easily renewed. Why is this site great for moms? Us moms are constantly juggling our kids and our daily schedules and events. When your kids go to sleep and you have a wedding to go to on a weekend, you can shop for items, fast, conveniently online on the comfort of your own couch. Is there a price difference from the boutique prices and StylishDesi.com’s prices? A lot of boutiques sell their items for wholesale prices and the savings are incredible. StylishDesi is located in the USA but has a worldwide presence with individual sellers and boutiques around the world. Shop fashion from the most exclusive boutiques in India to the in house boutiques down the street. We have all types of fashion, all at your fingertips. Angela has always had a passion for Indian fashion and was in awe of all the designs when visiting India. She loves that she can bring those fabulous looks worldwide. She lives in the USA with her family.